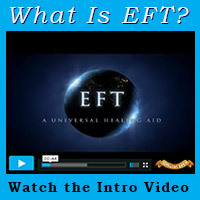 Originally included in the basic EFT recipe and sandwiched between two rounds of the full tapping sequence – with face, chest and finger points – the nine gamut procedure has slowly faded out of the common tapping techniques used by new practitioners. I think this might be a mistake. 1. When dealing with deeply buried upsets and suppressed feelings, the nine gamut procedure has no equal in bringing out emotional intensity where previously the practitioner was feeling either flat and detached. So it’s particularly useful in dealing with traumatic memories that we know we should be upset about but instead are feeling numb to. 2. The nine gamut procedure can also help if the practitioner is stuck. If after a few rounds of tapping, there doesn’t seem to be any change and there’s no insight as to what to do next, it’s time to give the nine gamut a change. By connecting the two hemispheres of the brain and accessing non verbal data, it allows new unconscious information to surface. 3. It’s also very useful when a strong emotion erupts out of nowhere and we find ourselves on an emotional roller coaster so intense that even tapping doesn’t entirely manage to slow it down. Using the nine gamut procedure at that time will be particularly effective in both calming down the practitioner and preventing re-traumatization. In short, the nine gamut is perfect in case of emergency. However, there’s one big cave at. The nine gamut procedure looks goofy. And that’s coming from an EFT pro who’s been tapping in public for close to a decade without feeling self-conscious (that would be me). So… What is the nine gamut? Then pause to notice any change and resume the procedure if necessary. For more on the science behind the nine gamut procedure, read this article by Dawson Church.